Our consultants speak fluently a multitude of languages which enables EXPERIENCE to operate at EMEA level. EXPERIENCE International works with the latest technologies and conducts its searches also through modern media such as social networks, job boards and web technologies such as video calls for an interview with the candidates before a face to face meeting. Furthermore EXPERIENCE International utilizes its own network and its own databases to offer the most complete overview of the market. We are able to work with the majority of the talent acquisition systems. We provide a top level service thanks to a flexible approach that can easily adapt to every specific project, an appropriate methodology and skillfull team, able to fulfill your needs. 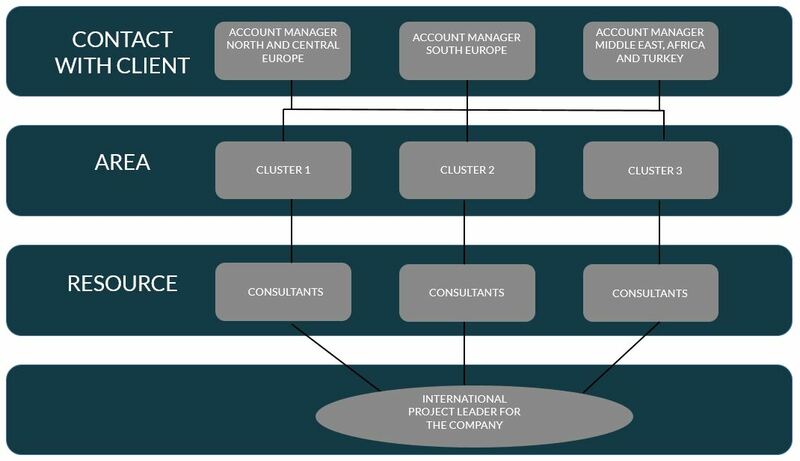 According to our structure we have an international account manager who represent the point of contact for the client. You will have a dedicated account manager which will be the main point and will keep you informed about every stage of the process. The project leader will lead a team of consultants to cater to yours needs. 2-3 consultants will be assigned for each search project position. We provide all clients with a senior, single point of contact who overseas smoothly and the delivery of the project. Through effective communication and regular reporting, we are adept at supporting our clients even when business requirements change and always strive to ensure the right outcome is achieved.